Ryan Calloway’s affable nature belies a story of determination and persistence that has carried him to his current status as Electrical Engineering student in UC Santa Barbara’s prestigious College of Engineering. Ryan grew up in Pacoima, a town better known for gang crime and poverty than college aspirations. His mother and grandmother did their best to shelter him from the rough neighborhood and instill the belief that going to college was never in question. When Ryan began at UC Santa Barbara, he faced an uphill battle to pursue his dreams. 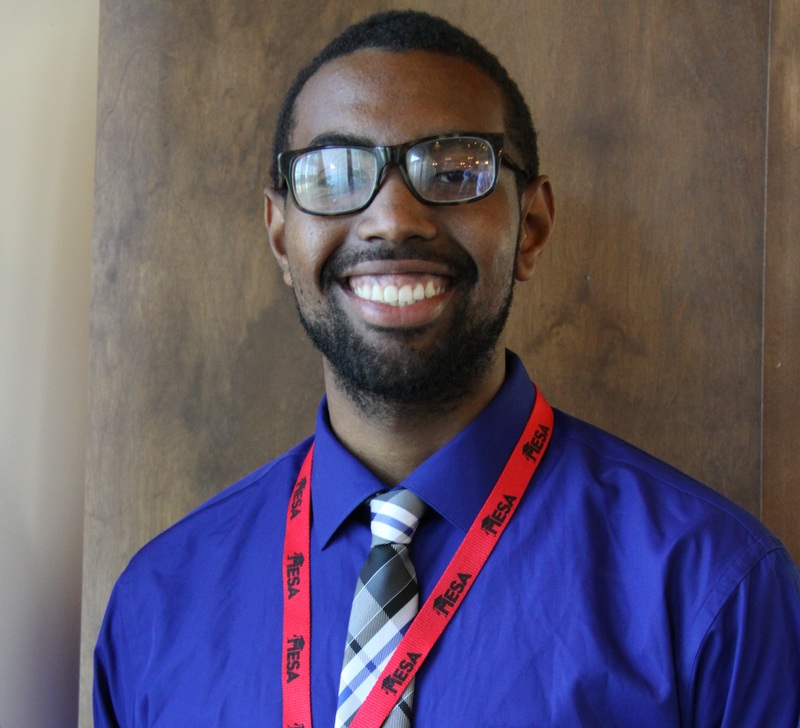 He was initially admitted to the College of Letters and Science and had to work his way over to the College of Engineering and eventually the highly competitive electrical engineering program. His academic areas of interest include nanotechnology, controls and robotics. His professional aspirations have been stoked many recent achievements in space exploration and research such as NASA’s landing a probe on a comet, discovering evidence of running water on Mars, and the Pluto fly-by. Ryan dreams of being part of a team that accomplishes something revolutionary like putting a man on Mars. Whether it’s family, science competitions, or the MESA community at UC Santa Barbara, Ryan knows that anything can be accomplished through teamwork. It’s no wonder Ryan is undaunted by unimaginable journeys such as a manned mission to Mars; he has figuratively traveled just as far from the rough neighborhoods of Pecoima to where he is now. The MESA Engineering Program is proud to support Ryan and grateful for all that he contributes to the UC Santa Barbara MESA community.